The U.S. Environmental Protection Agency has named the University of California among the national leaders in the use of clean, renewable energy. The EPA assessed participants in its Green Power Partnerships and found that UC ranked sixth for its on-site generation of renewable energy; ninth among the top 30 colleges and universities; and 67th on its list of top 100 national green power partners. UC President Janet Napolitano in late 2013 announced the Carbon Neutrality Initiative, which commits UC to emitting net zero greenhouse gases from its buildings and vehicle fleet by 2025, something no other major university system has done. Through the initiative, UC has expanded its pioneering climate research and ramped up its leadership on sustainable business practices. UC is improving its energy efficiency, developing new sources of renewable energy and enacting a range of related strategies to cut carbon emissions. For example, energy efficiency efforts helped the university save roughly $28 million in 2016 while reducing its carbon footprint. 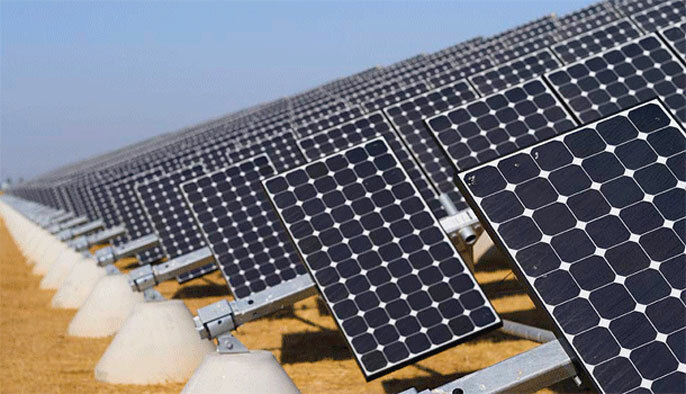 It has also gone big on energy supply in the area of solar power. UC campuses and medical centers have installed a total of 36.3 megawatts of solar photovoltaic technology, with an additional 12.9 MW in the planning stages. The university’s goal of reaching 10 megawatts of onsite solar by 2014 was surpassed two years early, and has now been more than tripled. In addition, the first of two large-scale photovoltaic projects purchased through UC’s Wholesale Power Program came online last year. When fully operational later this year, these two solar farms will generate roughly 14 percent of UC’s total annual electricity use. The EPA, in its recognition of UC, commended it for using more than 112 million kilowatt-hours of green power annually, enough to power about 10,000 homes. EPA describes green power as electricity generated from environmentally preferable renewable resources, such as wind, solar, geothermal, biogas and low-impact hydropower. The Green Power Partnership is a voluntary program that encourages organizations to use green power as a way to reduce the environmental impacts associated with electricity use. The partnership currently has more than 1,400 partner organizations voluntarily using more than 40 billion kilowatt-hours of green power annually. Partners include a wide variety of leading organizations such as Fortune 500® companies; small and medium sized businesses; local, state and federal governments; and colleges and universities. For additional information, please visit http://www.epa.gov/greenpower.